and mounts through an 89mm hole. Overall depth 32mm (not including studs). 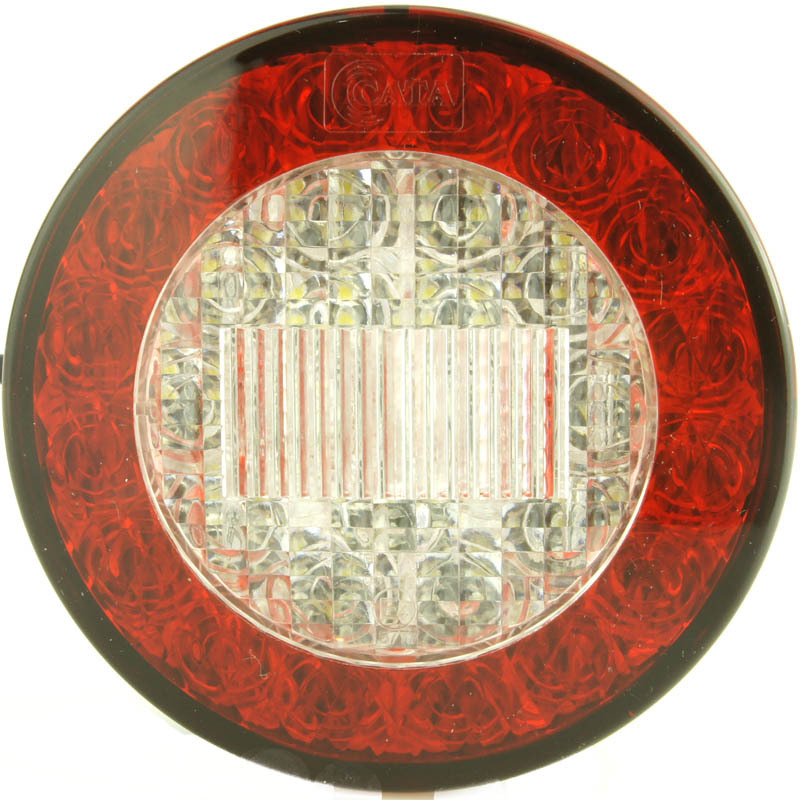 Red Rear Fog outer ring and White Reverse centre. Either bond them in or make a simple bracket to hold them in place. You can even surface mount them using the three M5 studs on a 70mm P.C.D. Super bright LED’s. 30mm long flylead. Wiring colour codes on rear of lamp. Fits in a 93mm diameter hole.